Q: What is your favorite stage musical? A: I have never seen a musical performed by a professional group. However, I saw a homeschool group from my childhood city perform plays and musicals, and they did an excellent job. The productions were so well done, they might as well have been professional. Brava! Q: What is your favorite musical film? ***Note: I added the following question. Q: What is your favorite animated musical film? Q: What is your favorite musical performance? A: I think this question refers to live productions, but that does not apply to me. I am changing the context to my favorite singular performance within a musical film: “Singing in the Rain” performed by Gene Kelly. Q: What is your favorite genre of musicals? A: Every era has at least one good musical, but most of my favorites come from the Post-Classical Era (Post 50s). Q: Who is your favorite composer and/or lyricist? A: Alan Menken, Hans Zimmer, and Phil Collins. Q: What is your favorite underappreciated musical? A: All of the musicals I like are well-known and liked therefore I do not have an answer. Q: What musical are you dying to see? Q: What musical did you not like? Q: What is the best musical adaptation? Q: What is the best original musical? Who is your favorite character from a musical? Q: What is your favorite song from a musical? Q: What is your favorite soundtrack? Q: What musical would you love to see happen? A: A musical based on the ABC TV show “Once Upon a Time”, a story about Disney characters set in modern times. Q: Why do you like musicals? A: Musicals were a normal part of my life growing up as a dancer, and they still hold a special place in my heart. Q: Describe yourself using one lyric from a musical? A: Defying. Fear is one of the biggest obstacles in my life, but I constantly find myself taking on challenges and completing what I thought was beyond my limits. Q: Who is your favorite actress from a musical? Q: Who is your favorite actor from a musical? A: Fred Astaire and Gene Kelly. If you would like to know more details surrounding my answers, watch the Youtube video (https://youtu.be/jla9o38LHxE). 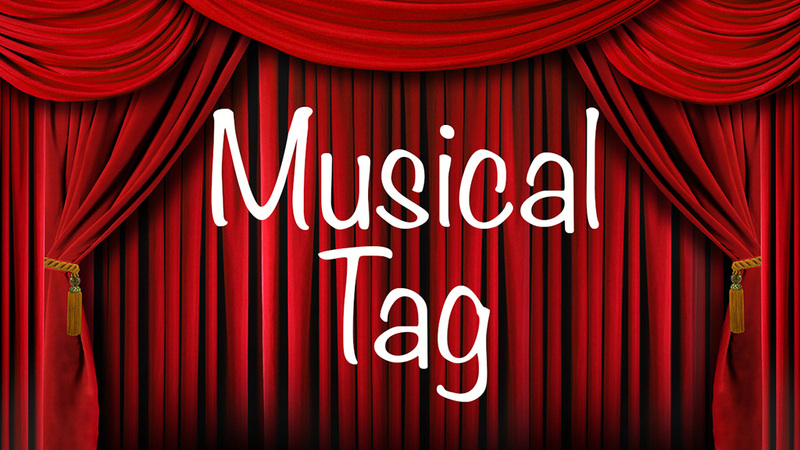 If you love musicals, I highly recommend you do this tag. It is so much fun!